Scott Redding has set his sights on an official HRC seat alongside Marc Marquez in the future after the British rider confirmed he will make a dream return to the Marc VDS Racing squad on a factory Honda RC213V in 2015. The 21-year-old’s future has been the subject of intense speculation for a month after it emerged his Gresini squad could not raise the £3m budget to lease a factory RC213V that had been earmarked for Redding. He flirted with the idea of spearheading Aprilia’s new MotoGP project and even visited the Noale factory recently to meet boss Romano Albesiano. Pramac Ducati have also kept the Desmosedici slot vacated by Andrea Iannone free for Redding while behind-the-scenes the Marc VDS Racing squad was on a frantic dash for cash to raise the £5m budget needed to set up a one-rider effort for Redding. After tense and lengthy negotiations with HRC bosses Shuhei Nakamoto and Livio Suppo, multi-millionaire team owner Marc van der Straten agreed a three-year deal to lease a factory RC213V for Redding. Redding’s deal now means that half of the factory Honda RC213V machines on the grid will be ridden by British talent, with Cal Crutchlow already confirmed at LCR Honda. That Marc VDS boss Michael Bartholemy could broker a deal with HRC is the dream scenario for Redding. He rode for the Belgium-based team for four years in Moto2, and van der Straten said he would not have thought for a second to invest millions out of his own pocket if Redding was not making an emotional return to the team. Redding almost won the Moto2 title with Marc VDS last season and speaking exclusively to MCN, he said to be returning to the team that rescued him from Grand Prix obscurity at the end of 2009 was a dream. “It is an unbelievable chance for me but there is a lot of pressure. That is not a big deal for me me but I need to perform because my ultimate aim is to be in the official factory team. "I wouldn’t say I’m pinching myself because I feel like I do deserve it but I am really happy that it has finally all come together. It was vital to make the right decision and to get the factory Honda in Marc VDS is by far the best way and I can’t thank them enough for making the deal happen. "They have worked really hard and put a lot of effort in day and night to put me in this position and I really appreciate it. It is hard for me to take in. "They have done so much for my career and put me in a position where I can get a factory Honda, so for them to do this for me is unbelievable. I have worked my balls off to get the factory bike and it wasn’t for Marc and lots of other people putting it together where would I be for next year? "said Redding. Redding’s targets are simple. His bike will start next season identical to the spec raced by reigning world champion Marquez and will feature a seamless shift gearbox and Ohlins suspension and Brembo brakes. And he believes he has to be fighting for the top five from the first race of 2015 as he looks to earn a crack in the Repsol Honda team in the future. 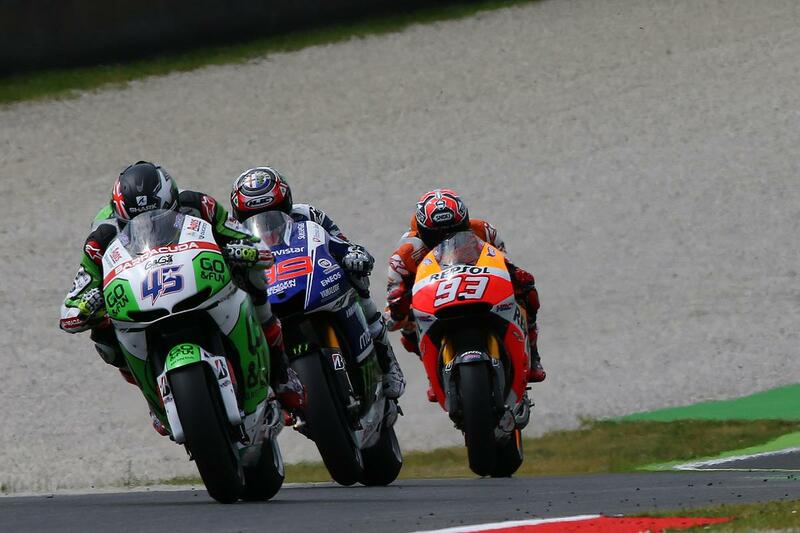 Redding said: “I need to make the results now because this is the one and only chance I will have like this. The most competitive bike on the grid is the Honda and I am not looking to go to Qatar and be in the top 10. I am looking at being in the top five and being in the battle for the guys on the podium.